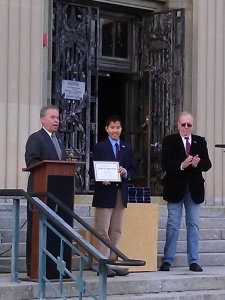 Today I was recognized by Rockland County Executive Ed Day on the steps of the Rockland County Courthouse. I received an Award of Appreciation from County Executive Day and also a WWII Blue Star Flag from Jerry Donnellan, Director of County of Rockland Veterans Service Agency. 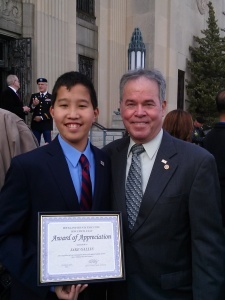 Chris Day was also there to be recognized along with approximately 35 other Veterans from this supportive community. 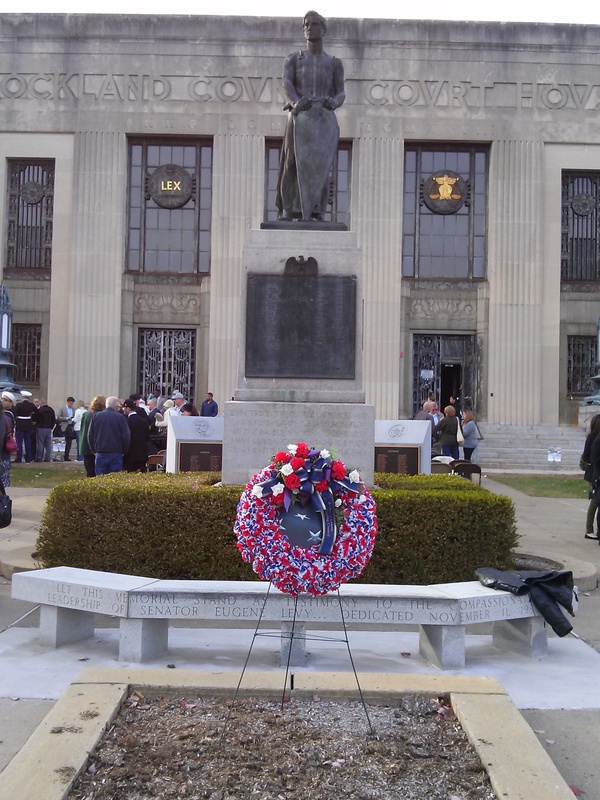 Please attend your local Veterans Day Ceremony.